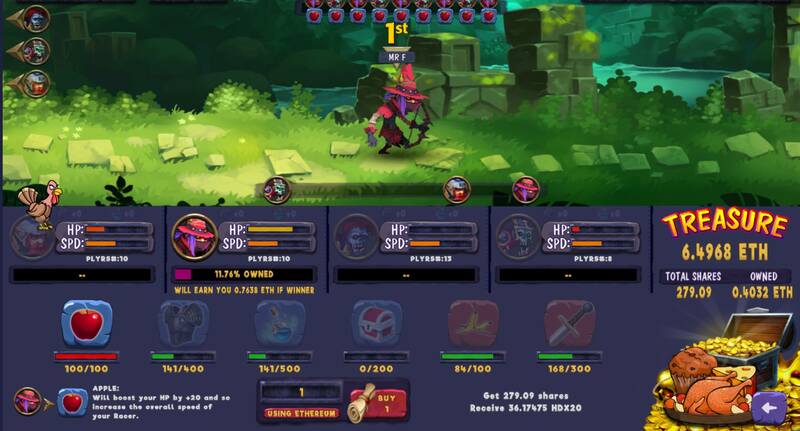 We are proud to announce that we just released the HDX20 Ecosystem on the Tron(TRX) Network, the exchange is located at https://trx.hdx20.io and the first HDX20-Tron(TRX) game is now playable at https://trx.etherknightgame.io . The Race will start after at least 1 player has bought shares of any Knight Racer then for every new items (power-UP) activated, a 24H countdown will reset. At the end of the countdown, the players on the first Racer will share the Treasure and everybody else will receive their rewards (no one is leaving the game without values). In addition, when you buy shares of your favorite Racer 5% of the price will get you HDX20 Token earning you Tron (TRX) from the volume of any HDX20 POWERED GAMES (visit https://trx.hdx20.io for details). Please remember, at every new buy, the price of the share is increasing a little and so will be your reward even if you are not the winner. HDX20 tokens can be exchanged against Tron (TRX) on our unique exchange only and are distributed every time someone is playing a HDX20 POWERED GAME. With 4% IN and 4% OUT fee only, price of the HDX20 is designed to appreciate over time and is fueled by both the volume of transactions and HDX20 POWERED GAMES. 1.Buy it, its TRX value will increase. 2.Sell it, its TRX value will increase. 3.Transfer it, its TRX value will increase. 4.Play our HDX20 powered games, its TRX value will increase. Our Blockchain SmartContract IS the unique exchange and makes sure that the HDX20 value never falls below its current one thus offering an unique CONTEXT where risk is known at all time and limited to the IN and OUT fees only. INTRODUCING “TORPEDO LAUNCH” the first skill-based Submarine Arcade Game on the Ethereum Blockchain ! Introducing “TORPEDO LAUNCH” the first skill-based Submarine Arcade Game on the Ethereum blockchain powered by the HDX20 Token. Come and play against other players, show the world that you deserve to be a winner and collect Ethereum Prizes. You are in command on a WW2 Class Submarine, YOUR MISSION : Seek and Destroy enemy ships. The Campaign will start after at least 1 player has played and submitted a score to the leaderboard then, for every new highscore registered, a 24H countdown will reset. At the end of the countdown, the 8 best players ranked on the leaderboard will share the Treasure proportionally to their scores and everybody will receive their prizes.Every time you buy new torpedoes, 5% of the price will buy you HDX20 Token, which you can resell anytime, earning you Ethereum from the volume of any HDX20 POWERED GAMES (visit hdx20.io for details) while 20% of the price will buy you new shares of the game. Please remember, at every new buy, the price of the share is increasing a little and so will be the value of your shares even if you are not a winner therefore buying shares at the beginning of the campaign is highly advised. You can withdraw any owned amount at all time during the game and play multiple times to improve your score. https://hyperdevbox.com/wp-content/uploads/2018/10/hdx20token-2.png 333 346 hdxeditor http://hyperdevbox.com/wp-content/uploads/2014/10/HDXLogo_340x156.png hdxeditor2018-11-30 23:18:402019-01-07 11:18:49INTRODUCING "TORPEDO LAUNCH" the first skill-based Submarine Arcade Game on the Ethereum Blockchain ! “ETHERKNIGHT” TIPS HOW TO PLAY! 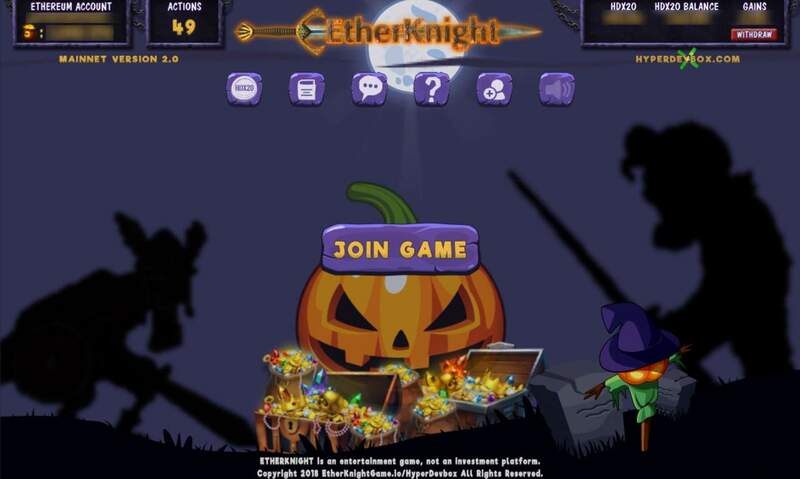 ETHERKNIGHT @ https://etherknightgame.io is our first Ethereum BlockChain webgl desktop browser game, play, have fun and win some real Ethereum! https://hyperdevbox.com/wp-content/uploads/2018/10/hdx20token-2.png 333 346 hdxeditor http://hyperdevbox.com/wp-content/uploads/2014/10/HDXLogo_340x156.png hdxeditor2018-11-02 20:01:072018-11-02 20:01:07"ETHERKNIGHT" TIPS HOW TO PLAY! “TORPEDO LAUNCH” our next HDX20 POWERED GAME, COMING SOON @ TorpedoLaunch.io ! 1.Buy it, its value will increase. 2.Sell it, its value will increase. 3.Transfer it, its value will increase. 4.Play our HDX20 powered games, its value will increase. https://hyperdevbox.com/wp-content/uploads/2018/10/hdx20token-2.png 333 346 hdxeditor http://hyperdevbox.com/wp-content/uploads/2014/10/HDXLogo_340x156.png hdxeditor2018-10-27 14:23:522018-10-27 14:24:27"TORPEDO LAUNCH" our next HDX20 POWERED GAME, COMING SOON @ TorpedoLaunch.io ! 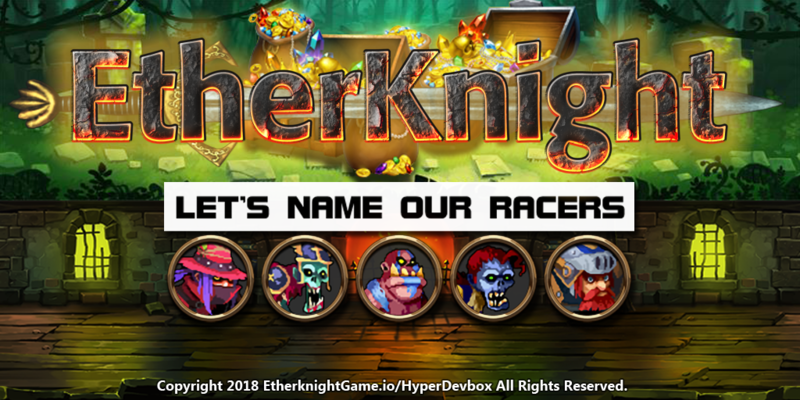 “ETHERKNIGHT” LET’S NAME OUR RACERS – AUCTION! https://hyperdevbox.com/wp-content/uploads/2018/10/hdx20token-2.png 333 346 hdxeditor http://hyperdevbox.com/wp-content/uploads/2014/10/HDXLogo_340x156.png hdxeditor2018-10-26 14:05:002018-10-26 14:05:00"ETHERKNIGHT" LET'S NAME OUR RACERS - AUCTION! “ETHERKNIGHT” ENTERED INTO THE DAPP TOP 20 GAME CATEGORY! https://hyperdevbox.com/wp-content/uploads/2018/10/hdx20token-2.png 333 346 hdxeditor http://hyperdevbox.com/wp-content/uploads/2014/10/HDXLogo_340x156.png hdxeditor2018-10-25 16:49:372018-10-25 16:49:37"ETHERKNIGHT" ENTERED INTO THE DAPP TOP 20 GAME CATEGORY! 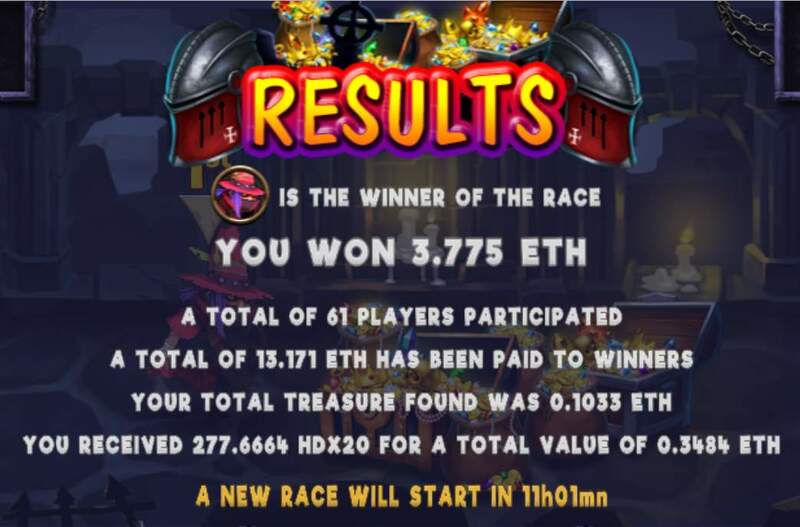 THE FIRST “ETHERKNIGHT” RACE ENDED, CONGRATULATIONS TO ALL WINNERS ! 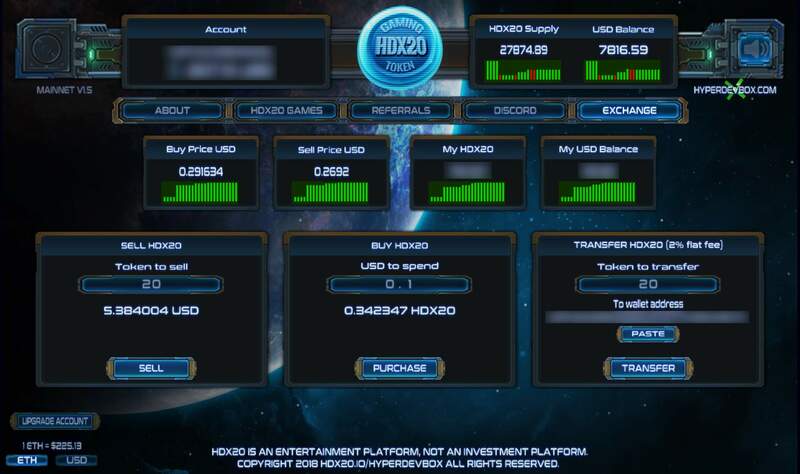 In addition, when you buy shares of your favorite Racer 5% of the price will get you HDX20 Token earning you Ethereum (ETH) from the volume of any HDX20 POWERED GAMES (visit https://hdx20.io for details). https://hyperdevbox.com/wp-content/uploads/2018/10/hdx20token-2.png 333 346 hdxeditor http://hyperdevbox.com/wp-content/uploads/2014/10/HDXLogo_340x156.png hdxeditor2018-10-20 19:29:262018-10-20 19:29:26THE FIRST "ETHERKNIGHT" RACE ENDED, CONGRATULATIONS TO ALL WINNERS ! 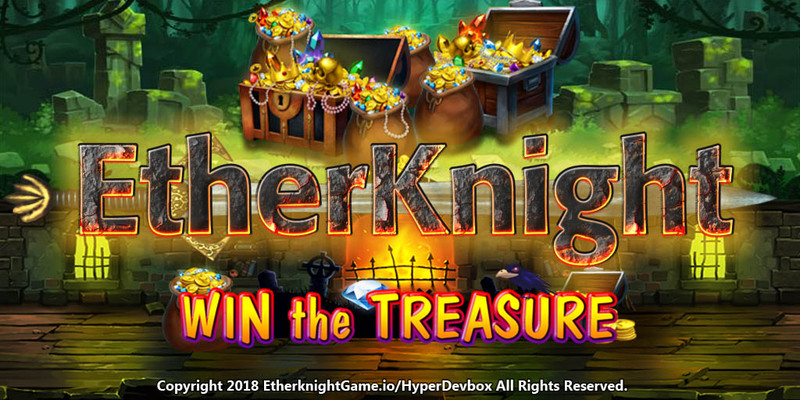 INTRODUCING THE “HDX20” gaming ecosystem and the first HDX20 POWERED GAME “ETHERKNIGHT” ! HyperDevbox is now on the BlockChain! THE HDX20 TOKEN is a TOKEN that can only be exchanged against Ethereum (ETH) on our https://hdx20.io website, it is not exchangeable anywhere else. The HDX20 does provide our players a way to get rewarded for supporting the HDX20 gaming ecosystem or for playing HDX20 POWERED GAMES. https://hyperdevbox.com/wp-content/uploads/2018/10/hdx20token-2.png 333 346 hdxeditor http://hyperdevbox.com/wp-content/uploads/2014/10/HDXLogo_340x156.png hdxeditor2018-10-13 16:01:322018-10-13 16:09:32INTRODUCING THE "HDX20" gaming ecosystem and the first HDX20 POWERED GAME "ETHERKNIGHT" !